Danielle Holmes is dedicated to helping clients optimize the distribution phase of their retirement. By understanding the client’s unique situation, Danielle is able provide an individualized strategy that allows clients to make well-informed decisions towards meeting their financial goals. She is passionate about building strong, trusting relationships. By providing education to her clients they can feel more confident about the decisions they make regarding their financial health. A commitment to excellence has always been a guiding principle in her interactions with clients. Danielle, a CERTIFIED FINANCIAL PLANNER (TM) Practitioner, adheres to a professional code of ethics and fulfills annual continuing education requirements. Danielle earned a degree in Business Administration with a Finance concentration from the University of Michigan. 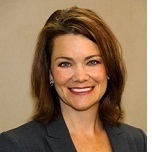 She is an Independent Wealth Consultant with LPL Financial, a Registered Investment Advisor, member FINRA/SIPC. Danielle is also licensed in life, disability, health, and long term care.